We have, by rough estimation, about 80 two man Crosscut saws, or Passe par-touts (pahs pah too) in colloquial Cajun French, at the Museum. They are everywhere, hanging from the ceilings, nailed to the walls, stacked up on mule carts and lumber buggies... EVERYWHERE. The lumber industry being what it was in Louisiana and the Delta Region in general and the fact that portable chainsaws were only invented in 1925 (by the German company Festo that we now know as Festool - yep the fancy expensive woodworking tool co.) two-man saws were in common use until recently. Every handyman of any salt in Louisiana had some form of crosscut saw. Like most things hand tools the art of using them, sharpening and caring for these saws is mostly forgotten. There are still some Sawwrights in the US sharpening them - mainly for lumber jack competitions - and they are still used in underdeveloped countries primarily for exotic lumber poaching. As historians and interpreters of agricultural history I think it is important to document these things before they are completely lost. Luckily several US agricultural groups and others have already done this. It is often that I am asked for help on sharpening these saws, as was the case yesterday, so I decided post a few good resources here to help those looking to get sawing with a passe par-tout. 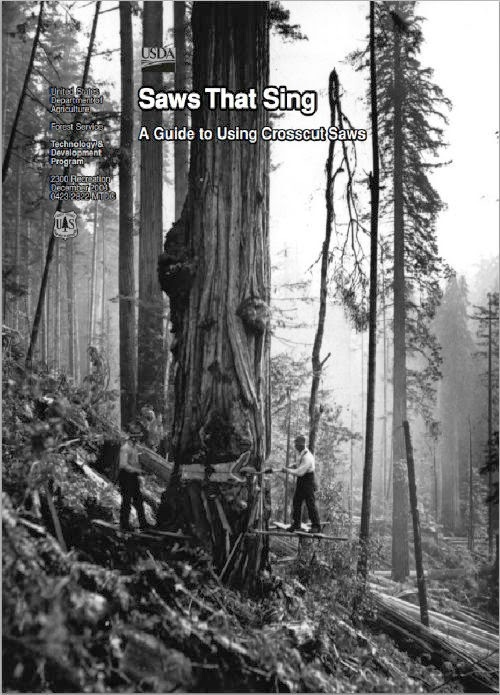 Thanks for Crosscut Saw Resources review. This is very useful tutorial for me. I have bookmarked it and I am looking forward to reading new articles. 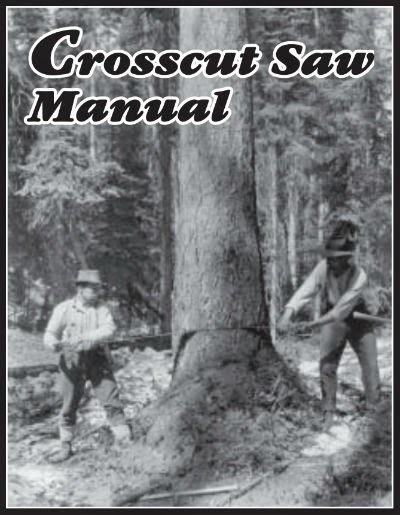 This is a really nice guide for crosscut saws. I read a lot of online guides but always find my way back to printed books.